Charlotte Tilbury is the name on everyone’s lips from Victoria Beckham, Amal Clooney to Gwyneth Paltrow ‒ her neutral eyeshadow palette attracted a waiting list of 30,000 and her Pillow Talk lipliner sells globally every six seconds. As the flame-haired English makeup artist rolls out luxurious stores in exotic locations including Dubai, and now America ­we find out how she went from makeup artist to multi-million dollar buisnesswoman with the flick of a brush. You have been in the industry more than 25 years. Tell us what you love most about working in beauty? Tell us about a moment in your career that totally blew you away? “Every moment in my career has been so magical for me, from starting out in the early 90s in the iconic supermodel years with Kate Moss, Naomi Campbell, Christy Turlington, Linda Evangelista and Cindy Crawford to creating cover looks for incredible titles worldwide like Vogue, Vanity Fair and Harper’s Bazaar. Starting trends on the runways of New York, Milan, London and Paris and designing and executing fashion and beauty campaigns for the biggest luxury houses in the world! However, I would say one of the most pivotal, pin-drop moments that really blew me away, in both my life and my career was launching my own brand just five years ago! “Since I was a young girl at school and I first discovered the power of makeup. I had dreamt of launching my own limitless makeup revolution. 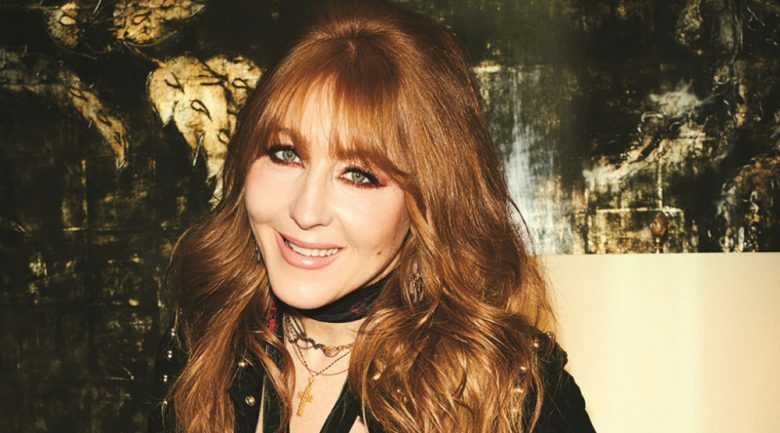 So, when I founded and launched Charlotte Tilbury Beauty in September 2013, an easy-to-choose, easy-to-use, easy-to-understand glamourous world of makeup magic, for everyone, at every age… It was a real dream come true for me! You’ve worked with celebrities including Kate Moss, Nicole Kidman and the list goes on… Have you had a favourite model moment? Tell us where you find your beauty inspiration to launch new products? A Pillow Talk lipstick is sold globally every two minutes – What makes this product such a cult? In 2012 you launched your own You Tube channel and blog providing makeup tutorials and tips from celebrities including Kate Moss etc. How well received and important is this to you? Best piece of beauty business advice you have been given? “It’s not strictly business advice, but I remember when I was starting out, I received a note from a beauty editor saying ‘Knock it to them, Charlotte. I know you’ll be a star’. It encouraged me to keep following my dream during tough times and really gave me motivation when I was cold calling for jobs and struggling, it made me realise that I just had to believe in myself. Because of this you will find a hand drawn star all over my brand and on the packaging. “My plans for the future are to continue to share the power of makeup with everyone, all around the world, making every woman and man feel like the most beautiful versions of themselves, everyday. I will still be totally revolutionising and disrupting the beauty industry. I have always been determined that I will be a disrupter in the industry and I want my company to be known for ground-breaking innovation across all that we do, every time we do it. I couldn”t be prouder of how far the brand has come in the last five years since we launched, and I’m excited about the future.